Prime Minister Justin Trudeau has announced support for a new geothermal power facility being developed in southeast Saskatchewan. The project, led by DEEP Earth Energy, is the first of its kind in Canada and taps into a new renewable energy resource. Geothermal energy harnesses heat from the earth’s crust and transforms it into electricity to power homes and businesses year-round. 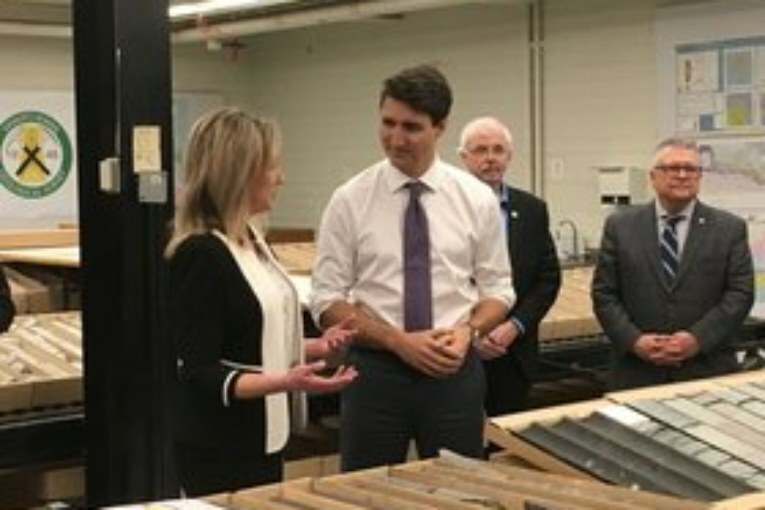 The Government of Canada will provide $25.6 million in funding for the five-megawatt facility, which will produce enough energy to power approximately 5,000 homes all while taking the equivalent of the yearly emissions of 7,400 cars out of the atmosphere. “Today’s announcement is an investment in the future of Saskatchewan, and all our children,” said Trudeau, who made the announcement Friday in Regina. The project will create 100 jobs during construction, and provide the provincial power grid with clean, renewable energy, and create new business opportunities for local communities, he said. Funding for this project is being provided through Natural Resources Canada’s Emerging Renewable Power Program. It builds on $1 million awarded to DEEP through NRCan’s Ecoenergy Innovation Initiative in 2014 for a pre-feasibility study. NRCan and Innovation Saskatchewan also contributed $350,000 and $175,000, respectively, towards test drilling. The total cost of the project is $51.3 million. Also on Friday, DEEP announced the successful drilling of its first geothermal test well. The vertical well, managed by Frontier Project Solutions and drilled by Horizon Drilling, reached its target total depth of 3,530 metres on Dec. 16, 2018. This is the deepest well ever drilled in Saskatchewan’s history. “This is a major step forward for the first renewable energy project of its kind in Canada,” said Kirsten Marcia, president and CEO of DEEP. With the support of its geological and reservoir engineering teams, Respec and Force Reservoir Management, the company successfully acquired preliminary data to facilitate assessment of the geothermal reservoir. Open hole logging tools indicate bottom-hole temperatures exceeding 125 C.
Drill stem test results were positive, indicating reservoir pressure and permeability that exceeds the minimum threshold for project feasibility, the company said. The next steps for the project include the drilling and coring of an injection well on the same location before spring.